Thanks to a generous donation and stellar carpentry work by the chanichim of Mach Hach, there will be new picnic tables and swings throughout Machaneh this coming summer. After the chanichim of Mach Hach built the tables and swings, the second month downstairs chanichim painted and decorated them with the assistance of the head of Melechet Yad, Jenny Jacobson. Click the thumbnails below to check out their beautiful artwork. Summer at Camp Moshava of Wild Rose is a sweet memory of friendships formed and lifelong values shared. We all fondly recall swimming in the lake, the hikes, arts and crafts, Shabbat, Maccabia, Avodah and more. In addition to wonderful memories, our chanichim are left with a personal connection to Am Yisrael, Eretz Yisrael, and Torat Yisrael , and a lifelong dedication to, the State of Israel, the Jewish People and the Torah.  We invite you to help keep those memories alive and ensure that future generations continue to reap the benefits of summer at Moshava by including Camp Moshava of Wild Rose in your estate plan. A donation to Moshava through a planned gift creates a lasting legacy and enables you to make a significant contribution that may not otherwise be possible during your lifetime. Your investment will allow us to provide scholarships, enhance programs and improve facilities. A Legacy Gift is an extremely important way to ensure that Camp Moshava continues its tradition of leadership development through camping excellence, while your family will be remembered for their generous support of this goal. Thank you for partnering with us as we look to create similar memories of Camp Moshava of Wild Rose for our future generations. For more information or to sign up to become part of the L’Olam Legacy Society Endowment Program, please contact the Moshava office at 847-674-9733 or email us for literature at moshava@moshavawildrose.org.